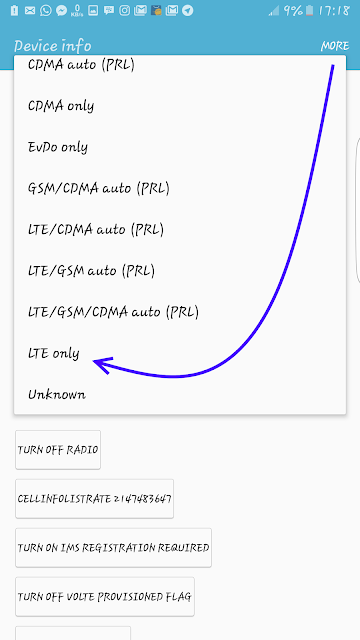 Simple method to force 3G/4G or LTE only mode on Samsung Galaxy S7 Edge SM-G935F AT&T Unlocked in other Countries without root. This guide works and based on Samsung's technology, it is not only limited to SM-G935F, this means you may be lucky to have it work and force 3G/ 4G and 4G+ on the latest Galaxy S8, S8+ , Galaxy Note 8 and others. This worked for my S7 edge AT&T Unlocked version (bought and shipped from USA to Africa), where I use MTN, a South African owned telecom network. 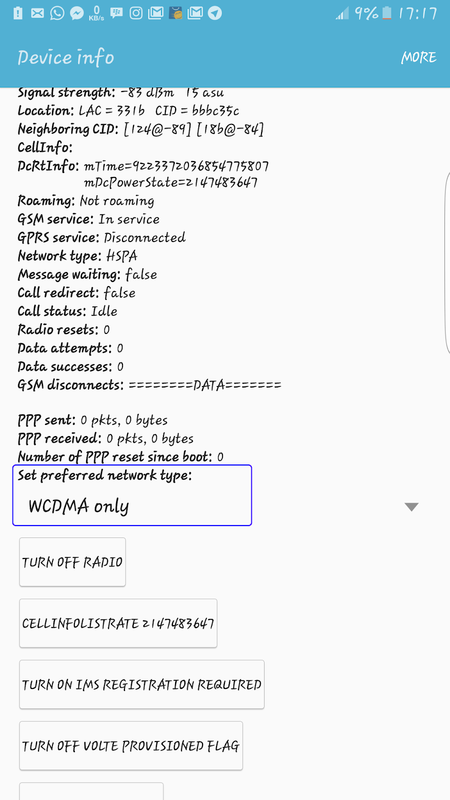 Initially, my network was acting funny, always toggling itself from EDGE, 3G to 4G, the network wasn't stable so it's understandable my device was picking the closest band available in my location, I've looked all over the web and Playstore for solutions like Advanced Signal Status, some required root access, and sometimes Xposed framework but I haven't rooted my device running Android 6. 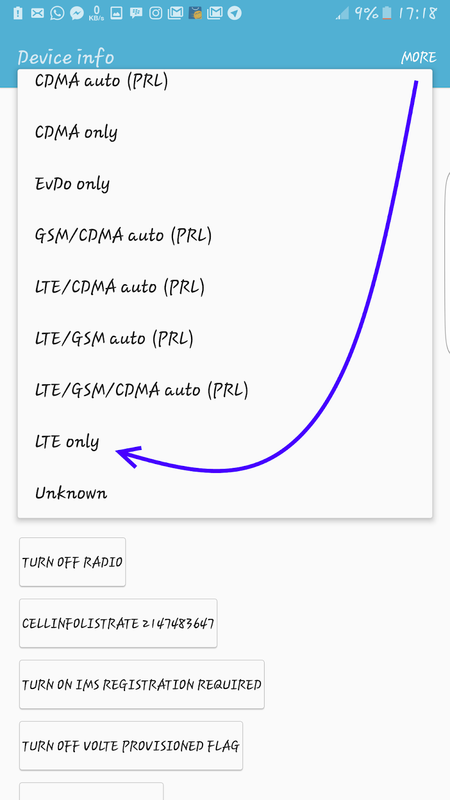 Without rooting your S7 Edge SM-G935F, all you have to do is follow the guide on how to force the 4G on your Samsung AT&T S7 Edge smartphone below. Again from the top right, Click "More"
NOTE - Be sure that WCDMA or LTE service is available in your area. Your network may go off and restart, but your 3G or 4G will be switched ON and be stable without toggling. This USSD/Diagnostics code that was the answer and we found it to be working since Android 4.4 Kitkat. You type this code in, it loads a secret menu, and you can choose your preferred network type (see http://teckfront.com/force-3g4g-andr...vice-commands/ for an example). 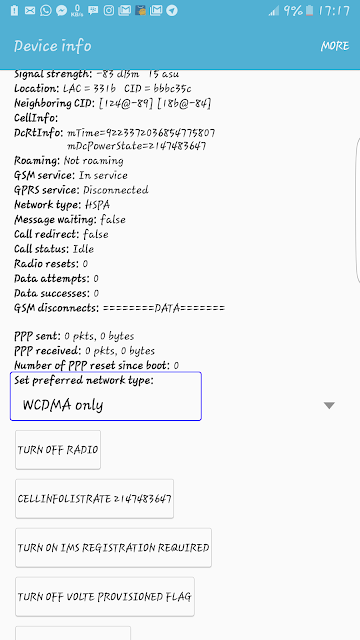 If it worked for me, it should sure work for you in almost any country you are in, this includes GSM (mobile) networks in the UK, USA, Asia, Europe and many others.